It’s amazing how uplifting it can be to bring just the smallest bit of greenery into your home. More than their aesthetic appeal, however, leafy plants are also exceptionally useful additions to your environment. They are, of course, natural air fresheners, absorbing carbon dioxide and converting it into oxygen and some of them even have additional benefits. In 1989 NASA compiled a list of more than a dozen air-filtering houseplants that also proved to eliminate significant amounts of benzene (naturally given off by gasoline, paint, rubber, tobacco smoke, detergent, and a variety of synthetic fibers), formaldehyde (a toxic chemical compound found in a wide variety of household products – from disinfectants to wallpaper) and trichloroethylene (a widely used solvent and degreasing agent) from their environment. These discoveries were made during an extensive study on ways in which to clean the air in space. With this in mind, we approached the guys from Plantify to suggest a few of their favourite easy to maintain, air-clearing plants. Parlour Palms have been a popular addition to the home since Victorian times, when it was considered fashionable to keep tropical plant specimens indoors. They are fuss-free and easy to care for, with attractively full, yet slender foliage arranged in a compact design. What’s more, they are able to target and remove carbon monoxide, formaldehyde and benzene from the air. This is particularly helpful if you have a smoker in the home or a neighbour whose fumes blow over to your place every now and then. 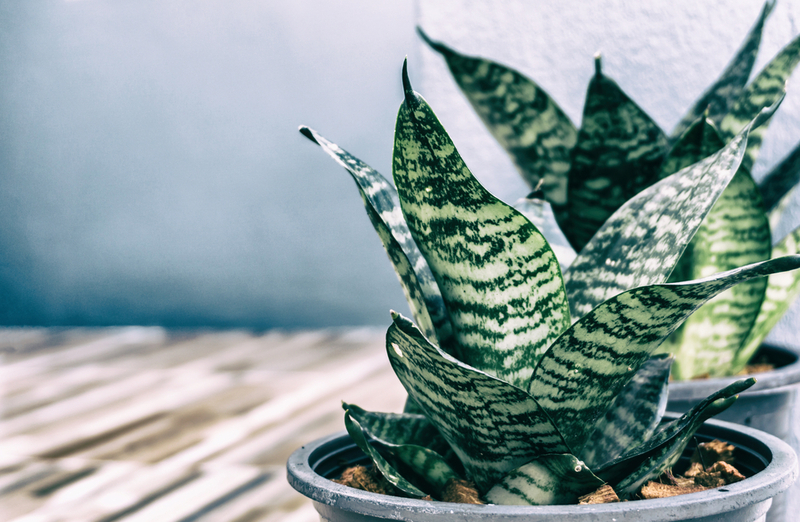 Also known as a Snake Plant, the comically-named Mother-in-Law’s tongue is one of the most carefree house plants around. It thrives in just about any light, prefers dry air and soil, and rarely requires repotting. With its long leaves and sculptural quality, it’s a striking plant to have on display and makes for an attractive focal point. The Mother-in-Law’s tongue also happens to be one of the top air purifying plants identified by NASA. It is said to remove more than 100 known air pollutants. Apart from carbon monoxide, formaldehyde, benzene and trichloroethylene, it also effectively absorbs nitrogen monoxide, chloroform and xylene, among many others. Originating from South America, Peace Lilies are lush and leafy, producing beautiful white and yellow flowers. They are super easy to take care of and also extremely forgiving. If you’ve neglected to water them sufficiently for a day or two and they start to droop, they’ll pick up in a jiffy with a generous soaking. Like the Snake Plant, Peace Lilies are also among NASA’s top-ranked air-purifying plants. They remove almost all household chemicals from the air but were proven to be especially effective when it came to benzene and trichloroethylene. If you’re looking for a tropical addition to your home, you can’t go wrong with a Lacy Leaf Philodendron. This low maintenance ornamental houseplant creates an instant lush green look throughout the year. With its large leaf surface, it’s also particularly good at absorbing carbon dioxide out of the air and converting it to oxygen. Keep one in your bedroom to assist in having a good night’s sleep. Named for the shape of its leaves, the Umbrella Plant is easy to maintain and not extremely thirsty – only water when the soil is completely dry. It’s also forgiving of low light environments. If left to grow, it could reach a large height. If you’d prefer to keep it small and bushy, pinch off new growth at the top which encourages the plant to fill out at lower levels. They are said to be exceptionally adept at removing benzene from the air. 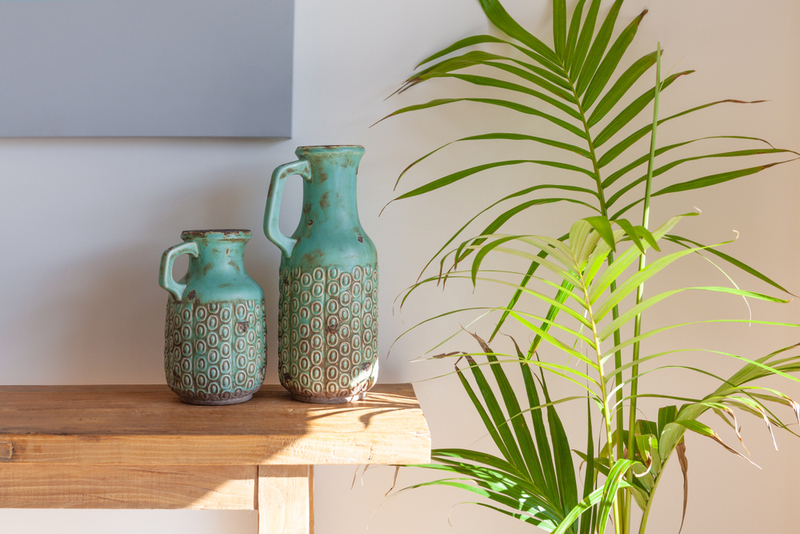 What are your favourite plants to keep around the house? Great writing and very informative. Thanks for your input. I think it is important to not admonish but suggest better alternatives, there are many who could assist if you would like alternative suggestions or additional articles. I would be happy to refer you. Margaret Burger, Wildlife and Environment Society of SA, KwaZulu-Natal chairman. Exactly what I thought while reading this. When I have previously looked into house plants, trying to find local plants with these benefits is what I focused on. Local is lekker and all that right? It’s nice to see people looking at natural ways to clean the air in the home though! 🙂 everything has to start somewhere! Thank you for this informative article. I have a couple of the Peace Lillie’s in my home. I laughed at the comment about them being very forgiving. Mine must be quite tired of forgiving me. I forget to water them often, and only when they are lying almost flat do I remember, but within 30 minutes they have perked up and are all spritely again. Will definitely be looking for the Parlour Palm and a couple others to fill up the decor in our house but “decor with purpose”.